How Does Your Smoke Chamber Affect Your Fireplace? 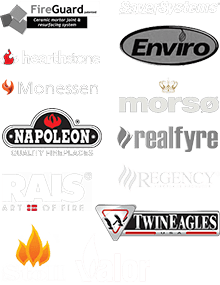 Many homeowners believe that properly maintaining their chimney system only involves a periodic cleaning of the fireplace and chimney. However, this leaves out one important part of the fireplace system that is often overlooked – the smoke chamber. Over the years, fireplace technology and design has continued to improve. Unfortunately, some systems with outdated smoke chambers may not be operating as efficiently as possible or may not be safe to use. Repairing your smoke chamber is one way to help bring your fireplace up to modern building codes. What Is A Smoke Chamber? The smoke chamber is designed to help funnel hot air, smoke and gases from the firebox into the flue and chimney, and is located just above the firebox. In most older homes, the firebox was built using jagged steps (also known as a corbeled design). While corbeling is a fast and easy building method for smoke chambers, it is far from ideal. In corbeled smoke chambers, the byproducts of combustion can get stuck along the jagged steps rather than easily flowing up and into the flue. Likewise, because corbeled smoke chambers have a large number of masonry joints, they can easily become damaged over the years due to excessive exposure to heat. If you are ready to repair your corbeled smoke chamber, there are two restoration options that we recommend.  Your chimney sweep can help you determine which smoke chamber restoration is right for your home. Cast-In-Place Restoration: Cast-in-place restoration offers the most dramatic change to your smoke chamber, completely eliminating any evidence of corbeling. Cast-in-place is also an excellent choice for reinforcing or strengthening your smoke chamber. Spray-On Restoration: Spray-on restoration is a fast, efficient and cost-effective option. Applying a spray-on restoration product insulates, seals and improves your smoke chamber. Have Your Smoke Chamber Repaired Today! If your home has an older smoke chamber, have it repaired today! Repairing a corbeled smoke chamber can improve your fireplace’s efficiency and allow you to more safely enjoy your fireplace system. Call us at 812-284-0123 or click here to schedule your appointment! You might be surprised to learn how many ways a chimney cap in good repair protects your chimney system. Ask us about this chimney repair that prevents animal, debris and water intrusion now.